LeeRoy Pitts was taught from a young age to seize every opportunity that life afforded him. He was never told what he couldn’t do. These are lessons he has passed on to thousands of students throughout his 49-year career as an educator. Pitts taught for 14 years in the Kansas City, Kansas Public Schools before moving on to teach at Penn Valley Community College. He taught there for 35 years, and even served as chair of the biology department. He did not aspire to be a teacher. His undergraduate degree is in industrial design and drafting with a minor in science. But in 1958, he took a temporary job as a science teacher at Northeast Junior High, and during that year, he fell in love with teaching. The experience of seeing a light turn on in his students’ eyes was one he wanted to relive again and again. He remembers school being a haven to him while he was growing up. He had a constant thirst for knowledge, and he had so many teachers who gave him empirical answers to his “why” questions. It gave him a passion for learning, which has stayed with him throughout his life. He has a master’s degree in biology and a doctorate in theology. He is said to be one of the most sought after speakers in the religious community in KCK. 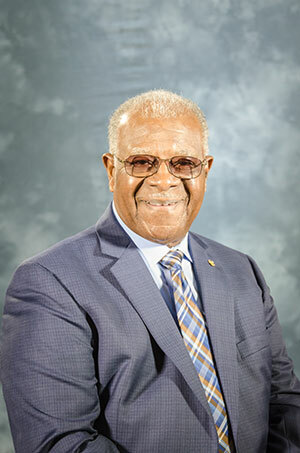 Pitts was very involved in community affairs in the 1960s and was a member of the City Planning Commission. In 1995, he received the Governor’s Award for Excellence in Teaching for challenging and motivating students. He has documented his life in his autobiography, “Up From the Bottoms,” which refers to the West Bottoms area of KCK where he was raised. He wrote the book for his grandchildren, so they would know their family history, but the book serves as an inspiration to all who read it. His wife, Eligene, is a 1953 graduate of Sumner High.